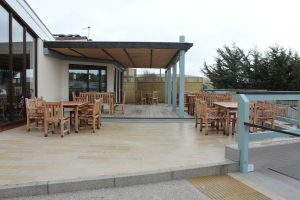 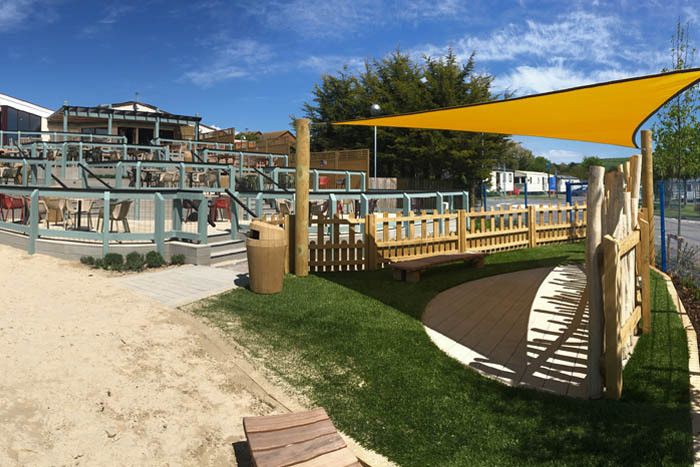 The creation of a new terraced cafe seating area and redevelopment of an existing play space. 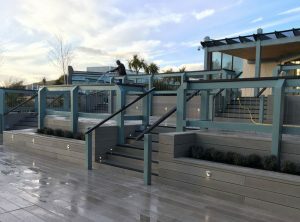 ClewsLA provided a complete design service and project management of the works which were completed in spring 2018. 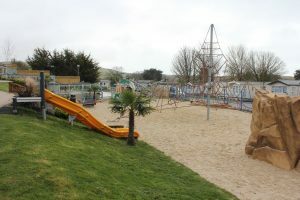 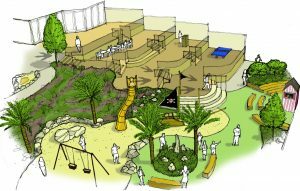 The Jurassic Gardens theme was carried throughout and the gardens incorporated a 3m high T-Rex sculpture, 2m high Jurassic play boulders, tropical planting and other more subtle references.